Let me tell you, this drink is DIVINE! 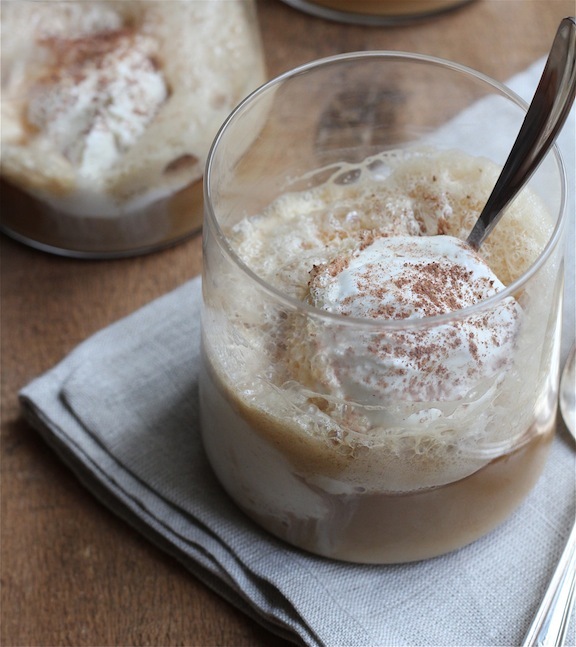 Yes, it's cold, but its frothy, it's creamy, it's slightly sweet, and it's SO easy to make. I made this one with decaf espresso, but I'm sure this can be made with regular coffee if that is what you have on hand. 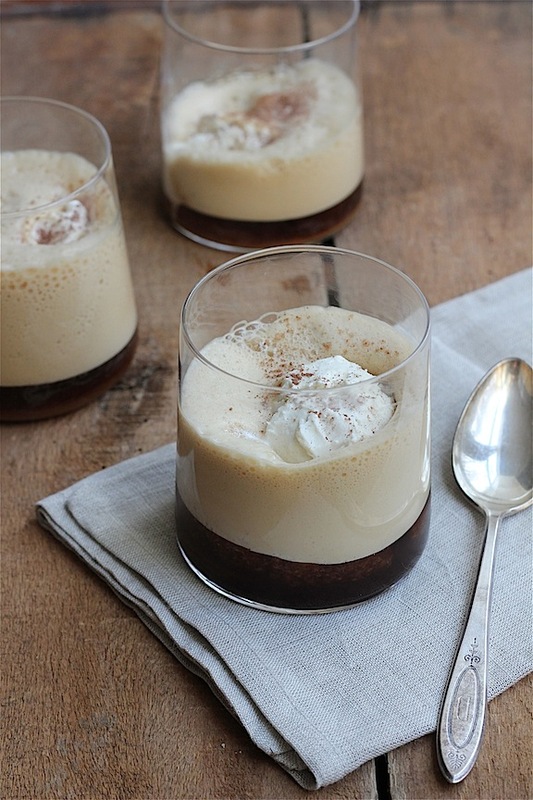 I think it would be the perfect quick dessert for a summer dinner party - or the perfect quick dessert to curl up with by a fire in the winter time. Add the espresso, sugar, vanilla and hot water to a blender and stir until the sugar is dissolved. Add the ice and blend on high until the mixture is almost smooth. Divide the mixture among 4 glasses or 3 glasses or 2 glasses - whatever makes you happy. Add a scoop of slightly thawed ice cream to each glass. Using a small sifter, sift cocoa powder on the top of each glass as a garnish. My husband will be head over heels for this no doubt! I could literally drink gallons of this! Ahhhh Ina, she comes through every time. I saw your gorgeous photos and knew that I wanted to make this dessert ASAP! Great shots by you and a great recipe by Ina. Looks yummy!!! I really like to have them.